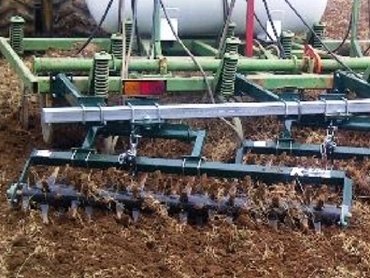 K-Line Industries has announced a special promotion for all harrow and coulter orders over $5,000. Open up to 30 April 2014, the special giveaway offer is applicable on the following products: K2000 Modular Rotary Harrows, K44 Poly Tipped Harrows, 1000 Series Spring Tine Harrows, 5000 Series Hollow Coil Packers, 7000 Series Coil Packers, K350 / K250 Coil Packer Bars, 900 Series Hydraulic Harrow Bars, 2581 Series Hydraulic Harrow Bars, 2500 Spring Tine Coil Packer Bars, Cast Rollers and Easy Fit Coulter Kits (Q55s). The promotional offer is subject to K-Line Industries General Terms and Conditions of Sale.